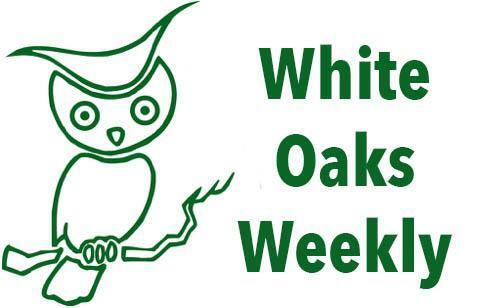 As we settle into our school routine, I want to thank you for the many ways you make a difference at White Oaks, volunteering in classrooms, supporting students at home and attending special events here at school. The funds that parents give to the PTA support programs such as Art in Action, Artist in Residency, School Beautification, and special school projects. In addition, PTA funds support classroom supplies to start the school year and provide enrichment and community-building events that make the school year memorable and fun! The San Carlos Education Foundation (SCEF) provides funding to support Smaller Class Sizes, Field Trips, Science Curriculum, Technology Support and Devices, Music for Minors, School Counselors and a School Site Principal Flex Fund. These programs are vital to providing a well-rounded, quality education to our students. They enrich our students' everyday learning experience. In addition, SCEF supports our teachers with the Educator Innovation Fund that promotes creativity and aids project-based learning. Wednesday, November 7th is the first SCEF day of this year. Please have your student wear green or school colors on Wednesday. If you haven't already done so, consider making a donation to SCEF. Support from parents like you is critical to help sustain and enhance the education we provide to our students. This TUESDAY 11/6 please Pick-a-Project in the MU and we need lots of volunteers to make this cherished event a success! Pick-a-Project will be on Tuesday, November 6th at 2:40. After you pick up the kids, come to the MU and pick up a project to take home and complete at your leisure (mostly). For those new to this event, you take home a kit that has all materials and instructions necessary to assemble a certain number of gifts. When they are ready, you bring them back. Then on the day of the event, your gifts are sold to the White Oaks students to give to family members on the holidays. We are making memories here! Most projects require NO crafty abilities and are very easy to put together. Please contact Kirsten Kell k@kkmft.com if you have questions or if you sewing abilities to share. Please join us for our upcoming PTA meeting this Wednesday evening in the MU. We'll review possible playground plans and hear an update from our principal, Ms. Scholer, and the playground committee. Other highlights include updates from the Book Fair team and the Holiday Store. A Winter Family Fun Night will be discussed. The full agenda will be posted outside the front office on Monday morning. All are welcome. Please consider attending and sharing your input on these important topics. Plan to shop the Book Fair Nov. 9-15. Shop early--don’t miss out! *On Family Fun Night the Book Fair opens at 5:15 and the Puppet Show (TK-1st) and Magic Show (2nd &3rd) begin at 6:30pm. Shop at the Book Fair before the show. Make a Poster for the Book Fair! 2018-2019 Yearbooks are for sale! They can be purchased directly from Jostens here. Yearbooks are $25 each, and the sales deadline is Friday, December 21, 2018. Yearbooks are distributed the last week of school by your student's teacher. We don't have a lot of extras to sell at the end of the school year, so buy your yearbook now to reserve a copy. Please contact Teresa Williams with any questions via email or 650-508-7317. Get entered to win a Good Eggs Tour of the Ferry Building when you shop this week! Orders placed by both new and returning customers between November 5 and November 11 will qualify towards the Ferry Building Tour raffle. Five families across all participating schools will be chosen to win 10 gift cards to visit Good Eggs producers in the Ferry Building. This delicious self-guided tour has a $100 value. 5% will count back to the school on all orders placed between October 1 and November 30. Wear green and show your support for SCEF! Every donation supports vital programs like libraries, PE, Music, Band and Orchestra , Middle School Electives and more. Make a positive impact on the everyday learning experience of every child in our San Carlos public schools. Enjoy some of your Halloween treats and then donate the rest! Drop-off your Halloween Candy at your school’s office until November 7th. Local dentists Drs. Amin, Chang and Kaher will donate $1 per pound of wrapped candy to SCEF, and Operation Gratitude with Estes Express Shipping will ship the candy to our troops overseas. Support our troops and support your school! On November 9th, join our SCSD music teachers, local musicians and community members for an evening of live music. This popular event, held at St. Charles Church in San Carlos, is great for the whole family. Refreshments will be available for sale at intermission. Support SCEF, music in our schools and enjoy our local musicians. On Thursday, November 15th, Sports Basement is inviting everyone in the San Carlos School District to a very special shopping day. Come see the new store in Redwood City, at 202 Walnut (in the old Toys R Us location), sign up for Basementeers and receive 20% off your entire purchase all day long! SCEF is a beneficiary of their Basementeer program & will receive 10% of all sales. There is a reception at 6pm. Brien Shamp Boot Camp, Dragonfly Investments Group, Harvest Furniture, Hummingbird Music School, Jacklyn Kurth Orthodontics, John & Lorena Baer, John McAfee-State Farm, Lisa Noble Photography, Mindful Bodies, Moquin, North Wall Builders, Pope Dental Implant Specialist, Wendy Wood Design. The SCSD PTA Coordinating Council (PTACC) is funding a special presentation by Gloria Moskowitz-Sweet PPSC, LCSW on Nov. 14th from 6:30-8pm at the district office (1200 Industrial Road). Gloria was a university lecturer for 20 years and has over 30 years of experience as a school social worker, specializing in the social emotional well being of children and teens.